With limited English and a strong desire to succeed, Delsuita Giraldo left her native Colombia in 1999 to begin her new life in the United States. She encountered many challenges: professional setbacks, language barriers, and divorce. She became a single mother of three beautiful girls, whom she raised without the support of their father or close family. 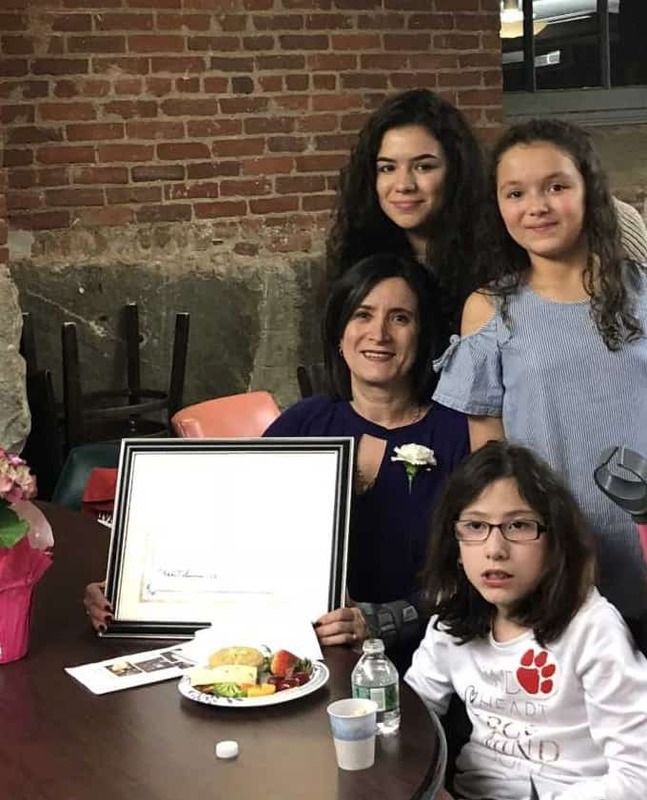 Raising three kids in a new country with limited English skills was difficult, but Delsuita said her greatest challenge came when her youngest child was born with Spina Bifida. Delsuita worked very hard to learn how to best care for her child, even becoming certified as a Licensed Nursing Assistant. Delsuita has been a student of ESOL at the International Institute of New England in Manchester for two years. With hard work, Delsuita has become proficient in speaking English, and now navigates her adopted home country with ease. She recently realized a long-held dream by purchasing her first home in America. Now, in their newly owned home, Delsuita is raising her children to be bright, active members of the community. She said she is proud of creating a safe and supportive environment for them. In February of 2018, Delsuita was recognized for exceptional parenting skills by Governor Sununu and the NH Children’s Trust as one of the 28 Unsung Heroes of New Hampshire.